Learn how to quilt your finished top professionally and easily the Quilt-in-the-Hoop way! 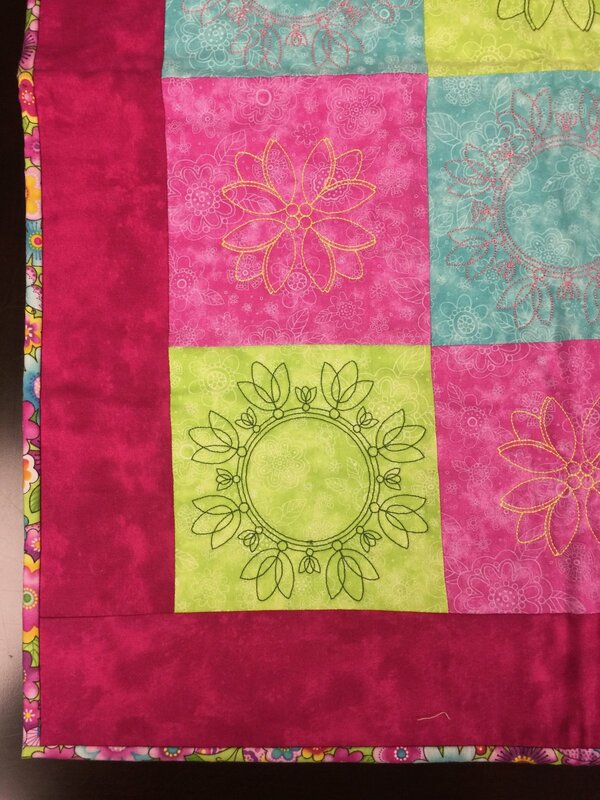 Using any layered quilt, you can finish your blocks and borders without pain in your back and neck. Use this technique to cut through that pile of tops in your closet! Requirements: Please read supply list and bring supplies. We are happy to put supplies aside for you, just ask!